We have Titan Modular Aluminum Wheelchair Ramps for sale, in stock, and ready for fast, factory direct shipping. Our goal is to provide our customers with the ADA handicap ramp products they need, at the lowest possible prices. We have aluminum wheelchair ramps for sale at 40% - 45% lower than the suggested retail price. Each ADA custom wheelchair ramp is made to fit your location and needs. Our cost to build wheelchair ramps includes delivery and unloading. In other words, our price quote is the total you will pay to have the ADA ramp delivered. Be wary of other sites that have handicap ramps for sale with add on fees (delivery cost, unloading ramp cost, etc.) to their quotes after you make the purchase. 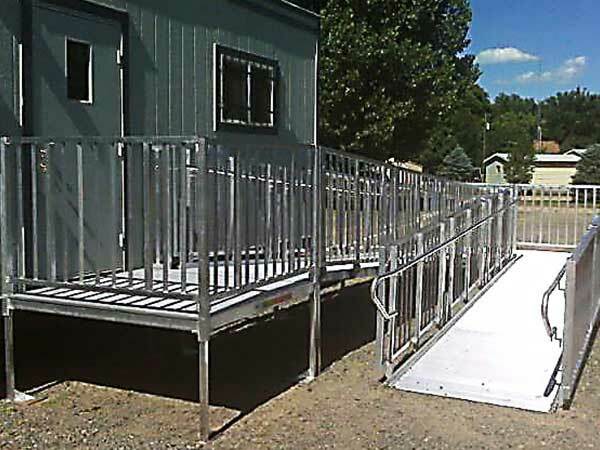 We have two ways you can get a no-obligation modular wheelchair ramp price quote. You can simply download and print the ADA Handicap Ramp Site Evaluation. Then just follow the instructions and mail or fax back the requested information. We will promptly contact you with a price quote. You can fill out a brief Free Wheelchair Ramp Quote form and submit it to us. We will promptly contact you with a price quote. 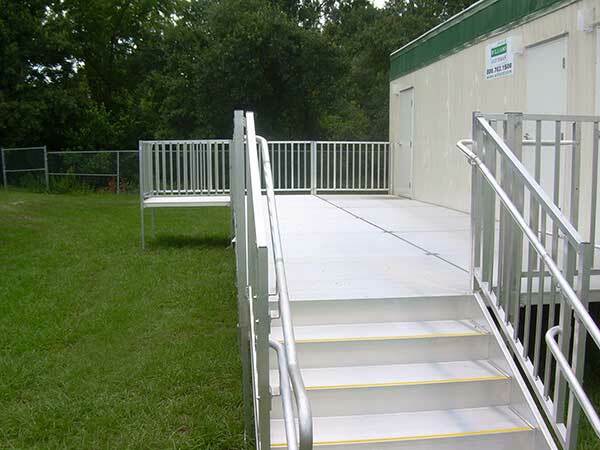 EZ Access ADA Wheelchair Ramps: Modular Wheelchair Ramp that is Easiest to install.